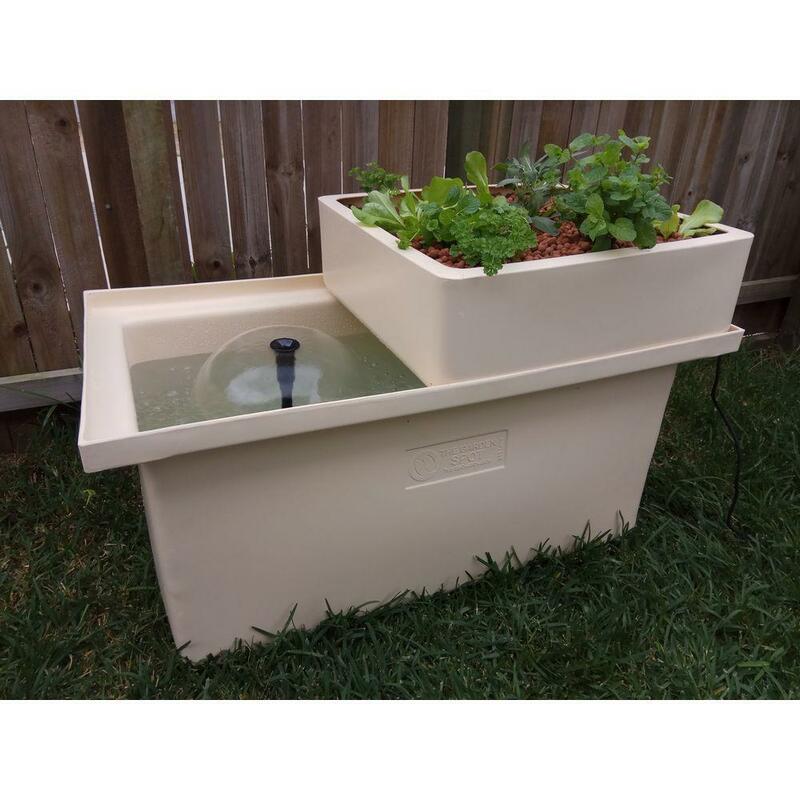 The Patio Aquaponic System is a Complete Automatic Gardening Kit guaranteed for years of success in vegetables, herbs and fish. This system will save you over $800 per year assuming you buy an average of 5 leafy greens or bunches of herbs a week. or 4 payments of $148.75 . 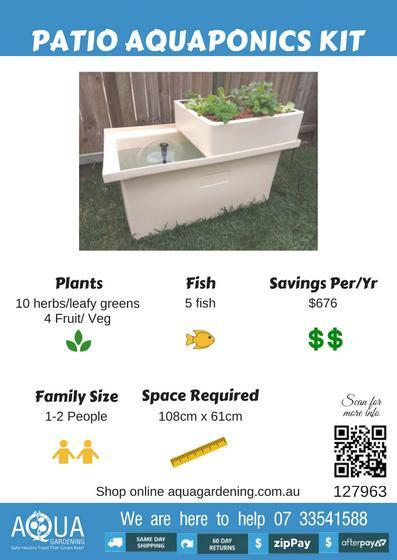 This aquaponic system is guaranteed for years of successful aquaponics vegetables, herbs and fish. 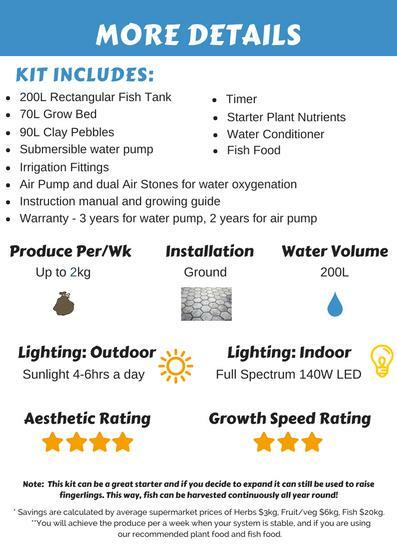 The aquaponic system is supplied with all the irrigation and air fittings to run the system, including a water pump and an air pump. 200L Rectangular Fish Tank - UV resistant food safe poly, freestanding 108 x 61cm, 51cm high. 70L Grow Bed - UV resistant food safe poly, dimensions 61 x 61 x 20cm. 90L Clay Pebbles - the best quality clay balls available. PondMAX PV1200 Water Pump with fountain attachments, with a cable length of 10m (2 year warranty). 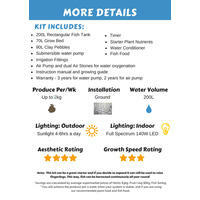 Starter nutrients for the plants, water conditioner and fish food included. We recommend starting with 5-10 native perch or goldfish (fish not included). 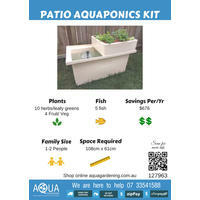 As with all Aqua Gardening kits, the system comes with instructions and our Aquaponic Startup Procedure to ensure the fish remain healthy.